Anti Fed Ed Warriors, in my last article, I shared with you how HR 62 would make a grab for our babies from a federal level. Included in that article was how MN is struggling to keep parents in control of their families. The article before that, I showed you how FEPA (Foundations for Evidence-based Policy Making Act) would also assist in the grab for our babies, I showed you how OR was considering in-home visits. Also included was how UT has them firmly in place. In both articles I stressed that the grab for babies/the in-home visits is not exclusive to one State. It’s in all the States and US territories ESSA (Every Student Succeeds Act) money goes to. If it hasn’t shown up in your State yet, hang on, it is in the works. GA is struggling with recent news. So are KS and CT.
***For the remainder of this article, I share information sent to me concerning some other warning bells from the latest 3. Be sure to compare it to the information from OR, UT, and MN. While the tactics may differ a bit, the overall goal of aligning babies to the CCSS Machine is the same. The CCSS Machine pushes ‘readiness’ at all levels, now, since ESSA, and the mandate to expand early childhood ‘learning’, as well as universal PreK, this is why we’re seeing SO much in the news. Warriors, Lisa H., shared this with me via email and wanted you to know about their ABC Program. No, it’s not for teaching little ones their alphabet. It’s called the Attachment Bio-Behavioral Catch-up Program. Lisa shared that the group behind this Program (the United Methodist Health Ministry Fund) was on last year’s legislative calendar and appeared before the KS Education Committee. They are scheduled to appear before the KS Education Committee again this yearn for a follow up. The email went on to share that SAMHSA (Substance Abuse and Mental Health Services Agency, a part of the US Dept. of HHS), as well as others are fully backing removing ACEs (Adverse Childhood Experiences). What are Lisa’s concerns? Swabbing children’s mouths for cortisol levels and recording the entire in-home session with the parents and children. While some may read this and think, “Oh, that’s not too bad.” The reason this ministry is able to intrude like this is due to the expansion of P3s (public-private partnerships) in ESSA for education! The in-home visits are part of ESSA’s supposed dedication to student achievement and family engagement. What it REALLY is, is home invasion by the government. Take into consideration that our U.S. Constitution was supposed to prohibit such (4th Amendment), but with FEPA actively neutering 9 U.S. Constitutional Amendments, the 4th is severely at risk. FEPA also will tie to HIPAA (Health Insurance Portability and Accountability Act of 1996). Which, as we know, is used in health care. The United Methodist Health Ministry was awarded $650,000.00 by the Kansas Early Childhood Initiative (part of the Kansas Health Foundation) under “access to care”. The Grant was given in 2017 and ends in 2020. The ‘access’ is the ABC Program. The Kansas Health Foundation is a massive P3 and was created as the result of the Hospital Corporation of America purchasing the non-profit Wesley Hospital. organization.” HCA receives Medicare/aid funding from the federal government, as well as private investors on the Stock Exchange. On page 15, you’ll see how HCA has psychiatrics listed as a way to compete in health care. Page 42 admits the use of third party data contractors to handle patient data. Page 46 gives the list of the 20 States and the United Kingdom information. Also joining with the United Methodist Health Ministry is the Kansas Children’s Service League (KCSL). It’s a part of the National Prevent Child Abuse America. The KCSL is all about collaboration. As in the ‘village’ concept as shared by this Kansas educratic leader. Kansas has embedded (2015) a State Wide Initiative called “Kansans Can”. A vital part of the KC Initiative? The “Kansas Can: School Redesign Project”. Warriors, as we know that’s 100% U.S. Dept. of Ed fodder. 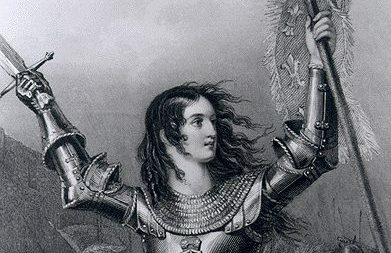 Warriors, you may know Georgia is personally, very dear to me. That said, the grab for babies is just as bad in the Peach State as it is in the Sunflower State. Also, recently in GA , and via Senate Bill 15, the push to expand ‘school safety’ (another ESSA mandate) into private schools. In GA, that also includes homeschoolers. Warriors, as you’ve known, I’ve been warning for years that the federal overreaches in ESSA would assimilate these families. This will increase, not only the intrusion into family homes, but also set up more data mining and control by Homeland Security Agencies. Warriors, one of my Anti Fed Ed Warriors, Anne M. in CT, recently posted a picture about the United Way of CT’s grab for babies and their Moms. Here’s a screen shot of the United Way in Anne’s community. Also tied to the (National Inoperability Collective) NIC, is David Wilkinson. Wilkinson, according to his LinkedIN profile as a Director of the White House Office of Social Innovation (under Pres. Obama). You can also tie Wilkinson to the Ounce of Prevention Fund. Back in 2016, I shared with you the OPF’s grab at children via ESSA. The 2018 NIC Symposium notes and speakers can be located here. The NIC announcement about the Symposium is where you’ll see the ‘wheel house’. United Way is tied to Google and the United Nations, so, of course, ‘cradle to career’ is the alignment. United Way is partners with the CCSS Machine in many other ways and groups as well. From 2016, United Way, President Obama’s Promise Neighborhoods (which was a codified mandate in ESSA), U.S. Dept. of Housing and Urban Development and “Youth Build”. Also from that year, United Way and those ‘wrap around services’. From 2017, United Way and STEM (Science, Technology, Engineering, and Math) for cradle to career coding. If you would like to see the United Way’s influence on the current NC State Superintendent, read this from the election season of 2016. Collectivism was/is the name of the game. Warriors, the cradle to career, then grave will keep being seen in the news as the ESSA mandates continue to ursurp the Tenth Amendment. In my next article, we’ll look at the federal misguidance on ‘school choice’ and the 116th’s bill to support the deception. Author’s note: While much of the information in this article is centered toward education, the topic ties directly to some of the refugees present in America. While history proves America has long been a land where citizens from other nations have been welcomed, we are seeing a dire situation building. For many years, we’ve been witness to how the separation of church and state must be preserved. So, why are there so many churches receiving federal funds as contractors when it comes to refugees? Why is THIS type of alignment allowed, but all others denied? My thanks to all the brave Warriors who have shared their evidence below. Anti Fed Ed Warriors, recently I published an article about the Houston mom who was disturbed by what she was finding in her church’s private school. Since then, the response has been heavy with MORE evidence. ICYMI: How the Lutheran Church has joined the Catholics in selling out to the CCSS Machine and can be also tied to the United Nations’ push for global workforce based education. *Note: Embedded in this article are several of my other researched pieces exposing the Christian accrediting bodies as well as the CCSS aligned assessments. Warriors, this article will be lengthy. That said, it has to be with all the evidence being brought forward by American citizens who are finding out how the UN’s net is closing in on all of our schools. My Warrior friend, Jill in MO responded to my “Big City, Private Education” article. Jill is an expert when it comes to the issues surrounding the immigrants, their resettlement, and education. Warriors, if you were not aware, the US has been a part of the UN’s official refugee resettlement program for a while. In fact the UN (United Nations) established the UNHCR (United Nations High Commissioner on Refugees) in 1951. Find out more about MO’s connection to this. According to the UNHCR’s Partnership page, the efforts to beef up strong partnerships between the UN and NGOs (non government organizations) have increased in recent years. Be sure to check out this 2017 Social Impact Framework from the UN. You’ll find some pretty important information, including how education is considered an urgent and on-going need and how the IKEA Foundation is a key player in all this. Warriors, consider how the increased presence of the UN in American education is tied directly to the SDGs (Sustainable Development Goals). These Goals are global, they are a purposed shift for education to become workforce based, not academic based. Warriors, also consider the UN’s influence in American education includes STEM (Science, Technology, Engineering, and, Math), STEAM (Science, Technology, Engineering, the Arts, and, Math). These are completely embedded in the SDGs. Remember, the NSF (National Science Foundation) created a educational marketing tool to mislead Americans. The marketing tool? The STEM acronym! Add to that the After School Satan Clubs are using STEM and STEAM in their education programs! Warriors, why are so many Christian churches and their schools using the SAME educational resources?! Do they not know the demonic foundations of the UN? Going off Jill’s lead from above, I was able to find the MO Official Resettlement document. It’s from 2015 and is 54 pages. Access it, here. Add to that, that “Education” is mentioned 3 times in this document. Pages 13, 41, and 51. Also of note from this Framework is the massive data mining strings; the associations with HUD (US Housing and Urban Development), the HHS (US Health and Human Services). From 2016, just one of my articles where I tied HUD and HHS to the CCSS Machine, especially via ESSA! This researcher shared with me the numerous attempts to meet with Pastors, church leaders, the church school principal, and, the church school’s board with not only her facts, but proof, only to be discounted and talked down to. Let’s see what other information KS passed on, “The day school for our church, under the leadership of the principal hired in the last two years, has brought in AdvancED. I am fully aware from your research, as well as mine, the international, globalist, common core behemoth this organization is. Just like in the public arena, the leaders of our church use the same talking points of “we can choose our own curriculum,” “we are doing ‘higher’ standards than the CC ones,” etc. The school was just visited by an AdvancED accreditation team. A summary of the visit included: “Accreditation is…An international protocol for institutions committed to systemic, systematic, and sustainable improvement.” and direction to “Develop and implement a written plan that provides support services for the emotional and counseling needs of the student population.” Welcome, SEL (Social Emotional Learning). My heart weeps.” If this isn’t bad enough, look at what else was shared, “The school is also striving to be National Lutheran School Accredited (NLSA). I researched this accreditation, finding among other things (the same ‘ole common lingo) that every time public/government education went through a major evolution/re-write, NLSA did as well, adopting the same paradigms as the government re-do. When I asked the gentleman with synod why they were leading and directing the parochial schools of the church to state accreditation paradigms, he stated, “Many public universities will not allow high school students to enroll from a school that is not accredited by one of the large secular accrediting agencies. We have entered into relationships with AdvancED, Middle States and WASC (Western Assoc. of Schools and Colleges) because they serve geographic regions of our country where our high schools are located.” How very anti-republic, pro-socialist this is; governing through regionalism. No local control and representation.” One of the last things shared by this researcher is the church-driven quest to receive more federal funds in the name of neighborhood change. 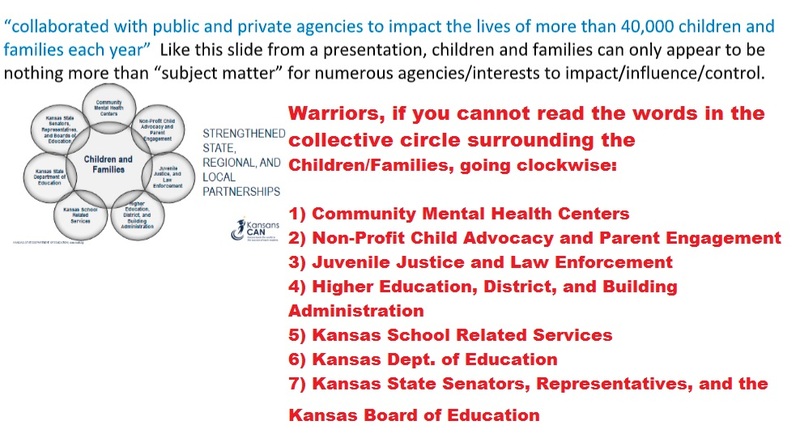 Warriors, embedded in ESSA, is the top-down White House initiative, Promise Neighborhoods! Because this is embedded, it’s been codified! HUD plays a huge part in the Promise Neighborhood Network. Promise Neighborhoods also grant funds to groups for neighborhood ‘improvement’. I covered how all this would impact private education back in 2016. Not being exactly sure where Lisa lives in AZ, I did find a Phoenix Lutheran School where Pearson is used. When I clicked on the link to learn more, I was greeted with a ‘log-in’ screen. From a fellow blogger, Java, the following information. Partnerships for the Advancement of New Americans (PANA), ‘To promote the fair treatment and equitable inclusion of refugee communities using organizing to achieve collective impact and policy change.’ I wasn’t able to find what, if any connections to denominational schools. However, knowing the use of the words ‘collective’ and ‘policy change’, this should be a group to learn more about. Source where you’ll be able to see the letter more clearly. An Evangelical Lutheran Immigrant Crisis Statement to the U.S. Senate. Note the connection to the UNHCR. You’ll find ‘education’ in the footnotes. The Catholic Bishop’s website will tie their statement to the DREAM Act. To see what the U.S. Dept. of Ed has in relation to the DREAM Act, go here. The Latter Day Saints Charities website also ties them to the UNHCR. I was able to find education in ELL (English Language Learning) among the ‘community projects’. Warriors, ELL funding and mandates are included in ESSA. A pair of Breibart News articles from my fellow blogger’s files will show you much more related to all of this information. Bell in MN, was able to back up what Maggie and Jill have shared. Bell, also adds, that much of the involvement of church based schools is disguised via mentorship and tutor programs. She goes on to state that while many of these mission type outreaches are seen as good, many are being deceived as to the roots back to social justice as driven by the UN. If you’ll remember, Warriors, I shared with you how MN was one of the first (if not THE first) State to align their education plans to the UN. Look at this resource from the Center for Immigration Studies. The New Americans Campaign is another resource you may find as a connection between globally led aligned education and church based private schools. This essay from Public Seminar, the refugee resettlement is a huge public-private, church-state setup. Warriors, ESSA is full of funding streams available to P3s (public private partnerships) as well as a huge increase in their power where it comes to education. From NC, a reader asks a very pointed question, my full response can be found in the comments to “Big City, Private Education”, I urge you to go see ALL the evidence I provided this reader. From 2015, OK Mom, Bobbie’s story about Common Core in a faith based private school. Somewhat related is my 2015 look at the CCSS Machine’s hand in marriage counseling. Warriors, we know full well many faith based groups, especially our churches offer marriage counsel. Consider this from Oxford University Press about the separation of church and state in America. Warriors, as I’ve stated before, we will NOT see a quality education which is American based as long as we are tied in ANY way to the United Nations. To have our faith based private schools join in the fray all the while claiming it in Jesus’ name is nothing short of shameful. Willfully accepting federal funds automatically ties you to the CCSS Machine. Unknowingly accepting federal funds or State funds is not acceptable. When it comes to schools, regardless of choice, KNOW THY FUNDING. Having all this evidence to prove the UN’s back door entry into our churches should be on everyone’s radar. To see this back-door to private education, should be called to attention! ESSA’s mandates state ALL education must be aligned to workforce ready standards. No school choice is safe, that should be 100% visible now. Warriors Against the Core, it’s not a festive report I bring to you today. However, it IS relevant to our War Vs Fed Ed. So how is the CCSS Machine playing its own version of the Pied Piper? I think, we, as educated anti CCSS Warriors, know how: with deception at almost every level of existence. Depending on what type of deception is needed determines what tune the Piper uses on the flute. Depending on what level of ‘accountability’ is being performed determines just who the Piper may be at that moment. For example, The Pied Piper of ESSA has to be Sen. Lamar Alexander playing his ‘song’ of ‘returning education control to the States’. However, the Piper’s tune for something like ‘filling the skills gap’ or ’21st Century Skills’ could be led by many groups anxious to lead our students away. In the remainder of this article, our Piper for the “21st Century Skills” is the U.S. Chamber of Commerce. One of the ‘biggest’ Piper tunes the CCSS Machine churns out and that ESSA (Every Student Succeeds Act) plays, leads students astray via business/corporate overreach into the classroom as the answer to lots of ‘skill gap’ problems. Warriors, we’ve seen enough non-educator based disaster via the CCSS Machine. We do not need more. 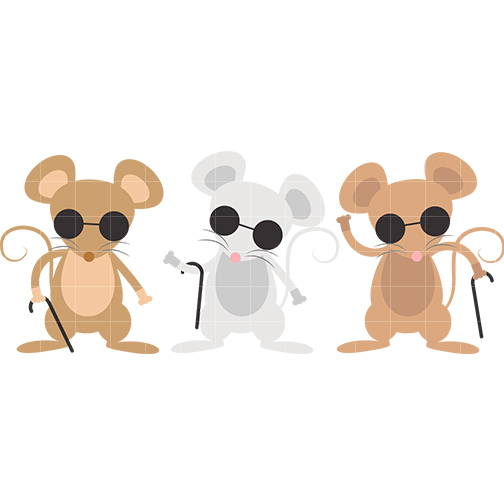 Yet, between ESSA, WIOA (Workforce Innovation and Opportunity Act), and HEA (Higher Education Act) have laid a road for the “Pied Piper” where businesses and corporations INCREASE their overreach into the classrooms. Warriors Against the Core, I do not wish to leave you on such a drastic mental image. However, I am not the only Warrior who’s compared what is happening to our students to awful things. I am not alone in hating what is going on in America, as far as our education system being so overrun with Pipers who deceive, indoctrinate, and conform our students. We must mute their tunes! We must stand between the Pipers of Reform and our students, regardless of their age. The Pipers of Reform are here for EVERY student, not a select few. RMT: Connected to the Core? AdvancED leading NC straight to more CCSS. Today’s “Riddle Me This” is all about a new effort accredited by AdvancED (so CCSS friendly it’s downright shameful) and growing in NC. We’ll also delve into which other states are involved. 1) They fully support the re-authorization of ESEA (as in the HR5 federal legislation). Now that you have that information, here’s how AdvancEd is pushing their CCSS support into NC via a ‘new’ school…. Because it’s virtual, this school can reach anywhere–any state, country, or school which is willing to sign up. The second clue is the curricula publishers list. (Pearson, MacGraw-Hill, and many others) Every page of this “NC” school has Pearson’s logo of “Always Learning” at the bottom. It won’t take long to research how each of these people are connected to CCSS. The Pearson run entity also offers CTE (Career Tech Ed) courses, so those Career Clusters/Pathways can occur in the virtual student’s life as it does in the students’ lives in the brick and mortar schools. (look under the ‘curriculum’ page for proof). Of course, with Pearson in charge, you know your student’s information will be data mined all over the globe. 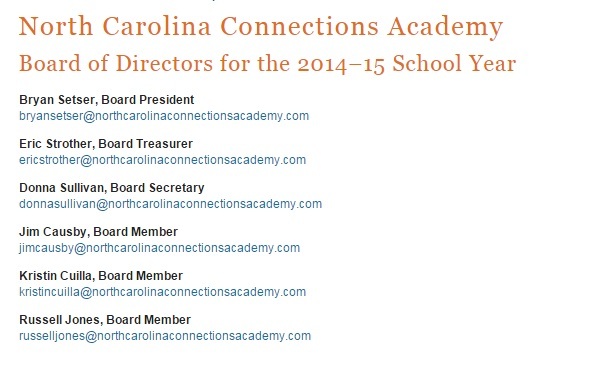 While it’s no secret how tied to CCSS North Carolina is, I do wonder if the NC General Assembly did their digging into finding out what organization is behind Connections Academy before they approved the educational experiment with not only our students, but, our tax dollars. If you live in NC, pass this information to your legislator. IF you live in any of the states listed above, share this with your legislators. Hold them accountable! No CCSS in our states MEANS No CCSS, CTE, CCR, or other sly rebrand, rename dreamed up. Tech Thursday: CAPS via Career Pathways is Still CCSS! 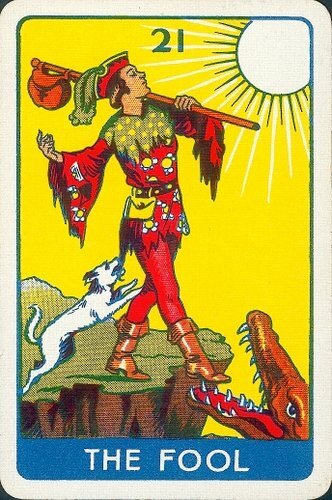 Back on March 1, 2015 I shared with you a bit about how the educational deck of cards (so to speak) is continually being stacked in favor of Common Core or any of its other arms: Career Tech Ed, Career Pathways, College, Career Readiness, etc. So, today’s article is a follow up to more of the same stacking via Education Week publication. I can happily say that since the discovery of those pro CCSS groups using Education Week as a front, I know right away any webinar, conference, or other resource I’m invited to participate in or use, will ALL be to help further the CCSS Machine. Here’s a short video to watch which was to celebrate those 2015 leaders. Listen for the educratic buzzwords we know mean CCSS/CCR/CTE. For the rest of the article, I’m focusing on the leader of AND the program called CAPS. Dr. Tom Triggs and his Center for Advanced Professional Studies. You’ll find Dr. Trigggs in Kansas. You’ll find many folks who reside in Kansas (as well as in other states) really like this program. I’ll admit, it is impressive, however, it’s still Career Pathways, Career Tech Ed and most definitely Common Core aligned! Real-World Relevance: Many comprehensive high schools understand the new three R’s—including the need for rigor and the importance of relationships. The third “R,” relevance, is the most difficult to implement. Involve business and industry partners to provide relevance. Expertise, Not Money: Instead of approaching partners to ask for money, ask them to share their expertise and human capital. The business community is eagerly waiting for school districts to approach them. High Expectations: Don’t underestimate your students. You can expect them to consistently exceed the expectations of the district’s business partners. Be sure to see the entire list of those behind WSBC. I found this logo in the parent/student catalog for CAPS. Twenty-first Century Skills is a definite component. As for those Common Core aligned Career Clusters? Yes, they are embedded in CAPS ‘strands’. See page 7 of the 2016 CAPS Vision document. caps_visioning_for_web_site Other things you’ll find in the Vision include how MIT (a known CTE/CCR/CCSS developer) helped ensure the school’s benchmarking component; how this particular CAPS is to become the flagship for a global network of such programs. The Business partners of CAPS are many in number. If you’re interested in seeing just which local and national businesses have joined in on the alignment, http://www.bvcaps.org/s/1403/index.aspx?sid=1403&gid=1&pgid=322 *Note, you’ll have to access each business per CAPS strand. For example, if you want the Human Service Strand’s group of supporting businesses, you’d click on the live link marked “Human Services Strand”. 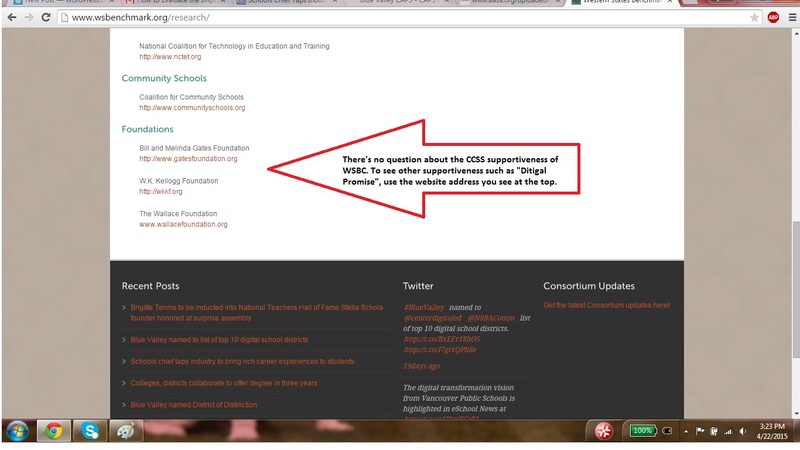 In doing so myself, I was able to spy at least 3 national CCSS businesses which have chosen to align with CCSS. One example, Lego Education.